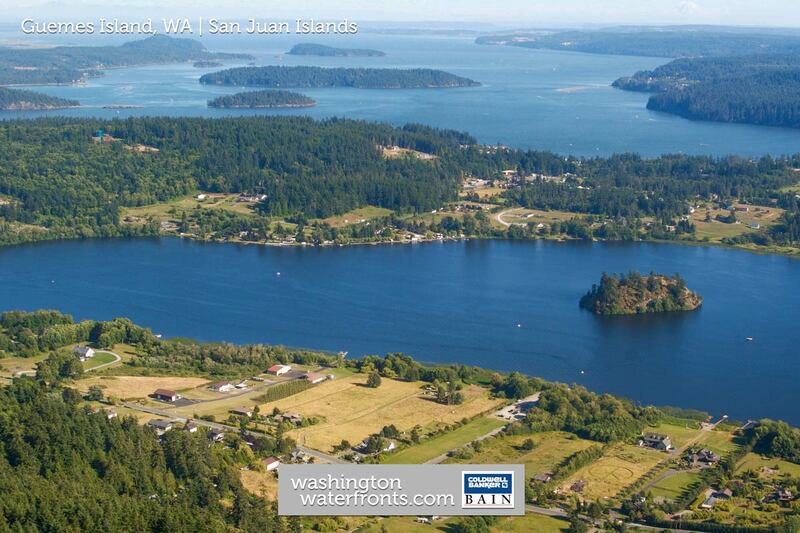 Guemes Island is located to the west of Padilla Bay, east of Cypress Island, and north of Fidalgo Island. The rural island is a popular location for tourists, but once the weather has a chill in the air, the population dwindles to less than a thousand permanent residents. It's a peaceful, tranquil place that prides itself on a small town feel and charm and where you go to reconnect with yourself, get in touch with nature, and appreciate a slower pace away from the hustle-and-bustle of hectic city life. With Guemes Island waterfront real estate, you’ll be able to enjoy breathtaking views from every direction. Residents get to-and-from Guemes Island via the Guemes Island Ferry which is a five-minute ride to Anacortes, Washington. Should you decide that buying Guemes Island waterfront real estate is for you, there's plenty of outdoor activities to keep you busy including walking, running, riding your bike, boating, fishing, and enjoying incredibly scenic views during a hike on the Guemes Mountain Trail. You can also visit the Guemes Island Resort, parks, the Guemes Island Library, the Community Center, grab delicious food and drinks at the Guemes Island General Store, and more. Guemes Island waterfront real estate includes some beautiful island and mountain views and, of course, breathtaking sunsets. Take time to get outdoors and enjoy the views while you lay in a hammock with a good book or sit with a cup of coffee or a glass of wine in hand while watching the boats go by. It's easy to find beautiful Guemes Island waterfront real estate that embraces the spectacular views such as having an outdoor seating area and fire pit. Inside you could find charming details such as hardwood flooring, fireplaces, large windows, exposed beams, and more. Take advantage of our industry-leading tools to make your property search as easy as possible and be sure to register for a FREE account so that you can receive email alerts whenever new Guemes Island waterfront real estate for sale hits the market. If you're seeking to sell your Guemes Island waterfront property, contact our Waterfront Specialists directly for a comprehensive listing analysis and to learn more about the cutting-edge marketing strategies we'll use to sell your home quickly for top dollar!